A large, ship-like cumulus cloud is illuminated by a warm setting sun over receding hills. The subject felt too large for one frame, so I created it as a diptych. What is the world is a diptych? 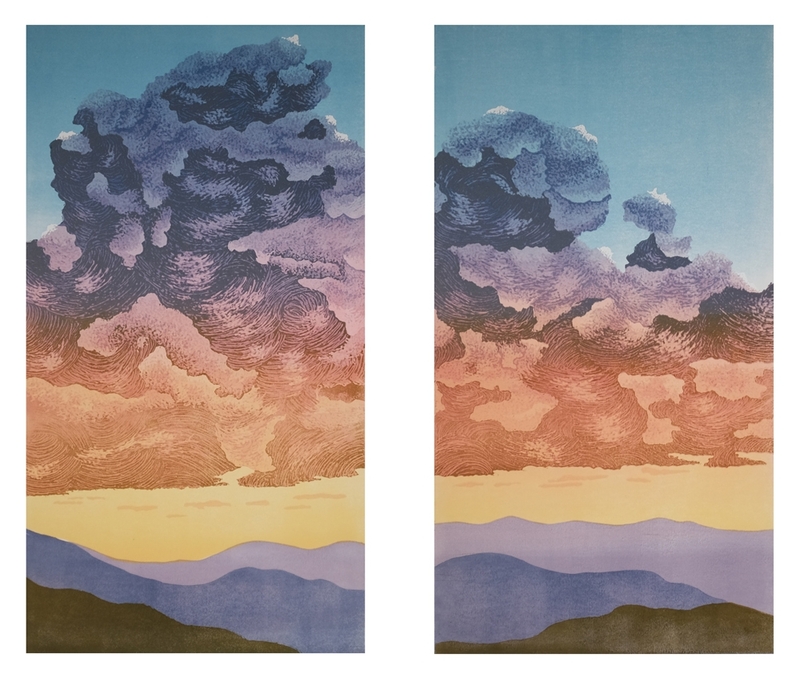 This is a diptych — a print in two parts. It is sold as a set.